We are all acquainted with LED (light emitting diode). It is a semiconductor light source and was introduced as a practical electronic component in 1962. Earlier, LEDs emitted low-intensity red light but now the scenario has completely changed. We can now count LEDs under GREEN electronic component. They are tiny but efficient. Technology has made it possible in achieving efficiency with LED lighting. Let us first look at it with a positive perspective. 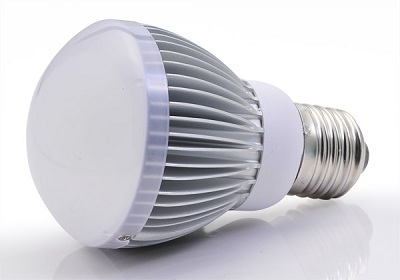 LEDs are supposed to be the future of our lighting industry. They require low power for illumination. The power required for illumination is as low as required for a flashlight or the screen of our cellphone. LEDs are very useful to light up smaller rooms. Bright white light can be achieved with minimum requirement of electric power. It has been used by the lighting designers. They can be very easily integrated with the false ceiling in any mall or showroom. Since, the requirement for the number of lights is larger in a showroom, LEDs are a very superior and an economical alternative since they are efficient and at the same time consume less electric power. I would say this is great way to embrace sustainability. Now, let’s look at it with a perspective that will help us understand the shortcomings in LEDs technology. We will also discuss how researchers have found a perfect way to overcome these shortcomings.